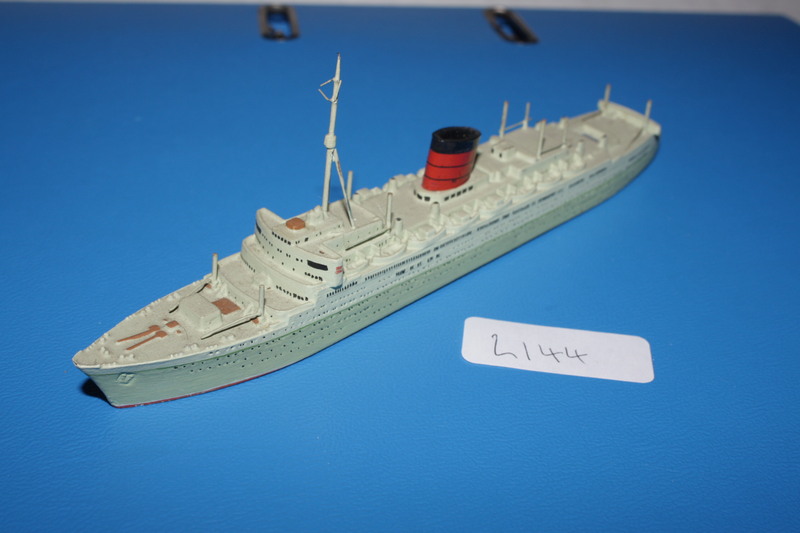 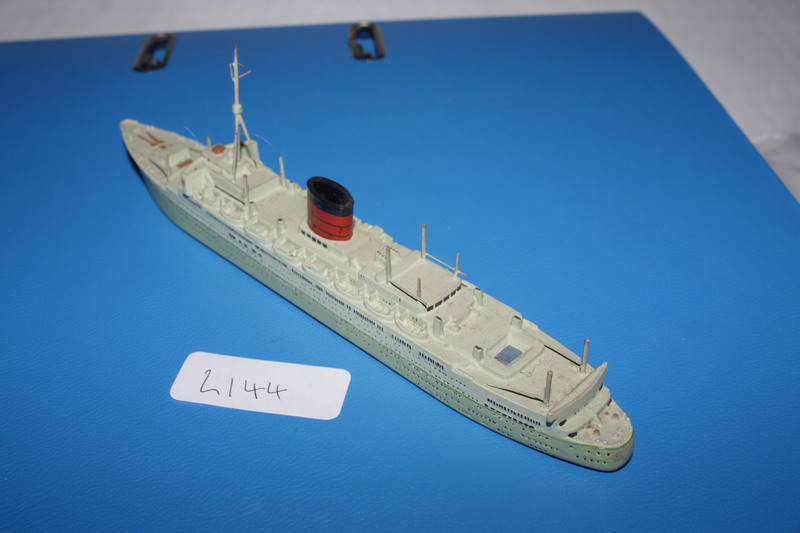 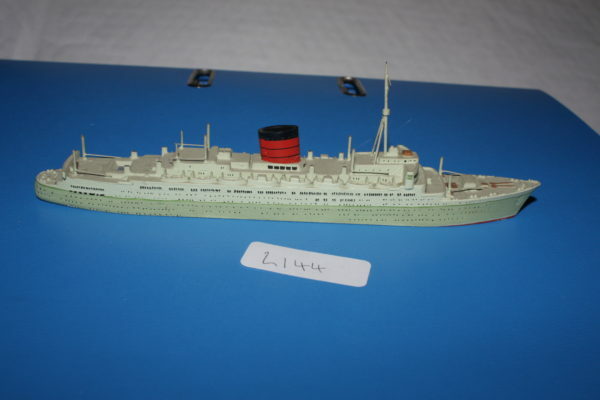 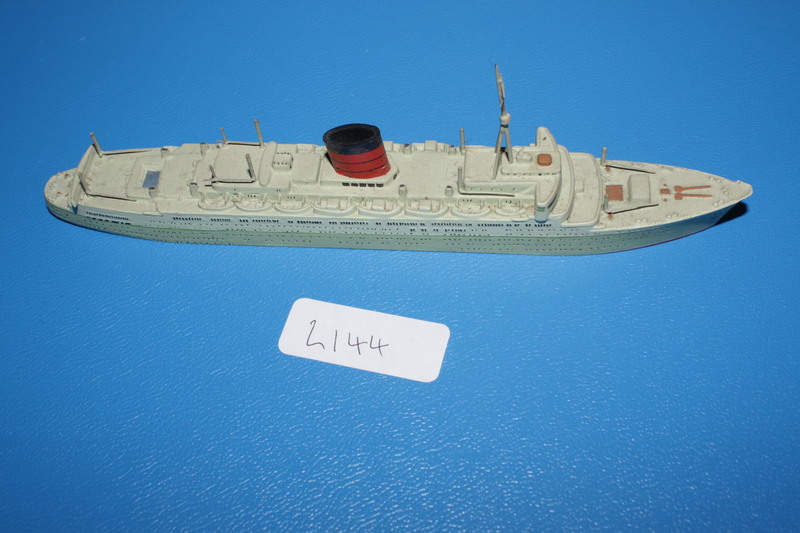 Known and loved as a beautiful cruise liner this was the first model produced by Triang all those years ago. 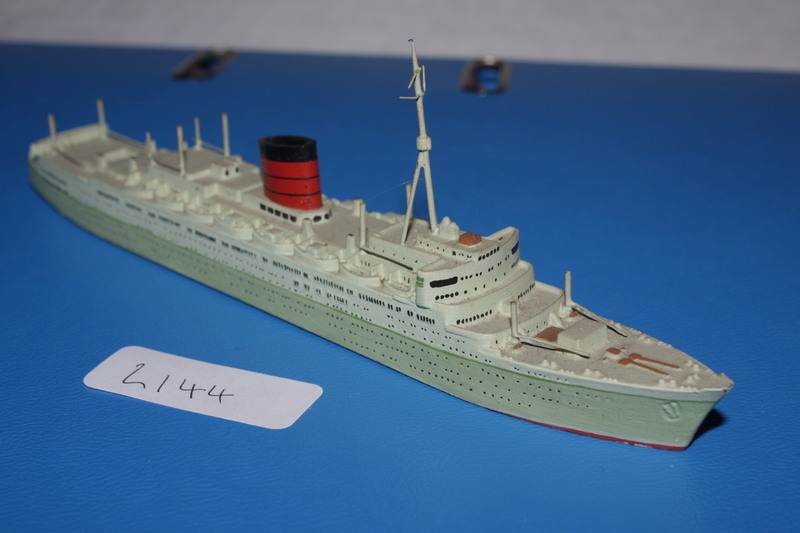 It has been repainted in two shades of green in the spirit fo the original ship when a cruise liner. 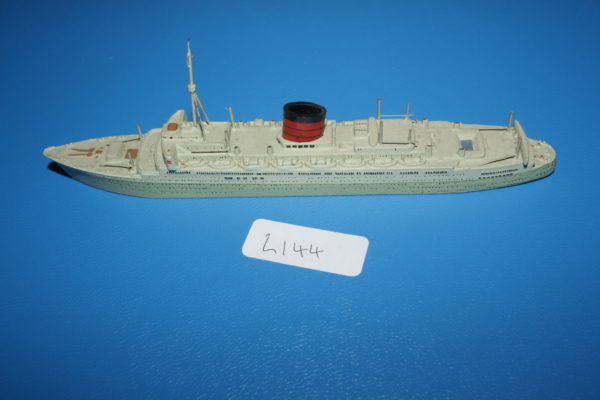 Extra masts added too. I think that this is a Marmite ship.